Útúrdúr kynnir með stolti útgáfu á Handbók í Hugmyndavinnu eftir Steingrím Eyfjörð. Útgáfufögnuður verður haldin föstudaginn 5.nóvember kl.17-19 í Útúrdúr bókabúð í tilefni af glænýrri endurútgáfu Útúrdúrs á Handbók í hugmyndavinnu eftir Steingrím Eyfjörð. Bókin er fáanleg aftur eftir 12 ára óþreyjufulla bið þeirra sem hafa viljað eignast gripinn. Handbók í hugmyndavinnu er safn fjörutíu og átta hugmyndaæfinga sem höfundur hefur tekið saman. Hér eru samankomnar á einum stað hefðbundnar og nýstárlegar aðferðir til að þróa hugmyndir og auka ímyndunarafl fólks í skapandi starfi. Allir geta notað aðferðirnar í þessari bók til að koma sjálfum sér og öðrum hressilega á óvart. Hér er komið kærkomið tækifæri til að næra snillinginn í sjálfum þér. 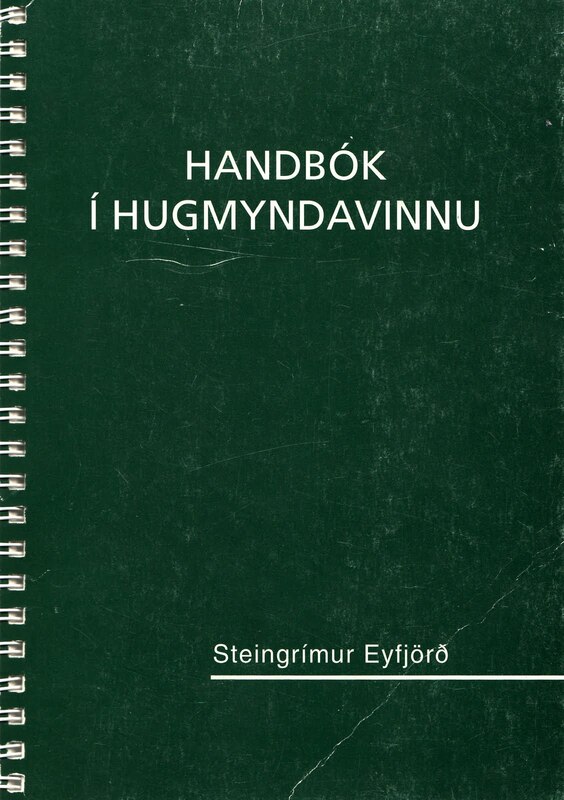 Útúrdúr proudly presents the publication of Handbók í Hugmyndavinnu by Steingrímur Eyfjörð. After 12 years of waiting this book is finally republished and is now available in Útúrdúr. 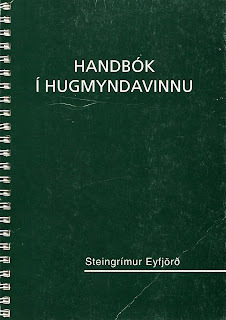 Handbók í Hugmyndavinnu is only available in Icelandic but the book consists of 48 idea-exercises both new and recognized ones that people from all levels of the creative field can use to evolve their ideas and boost there imagination. This book is a great tool to nurture the genius inside you. There will be a book launch in Útúrdúr on Friday the 5th of November from 17-19 and everybody is welcome.